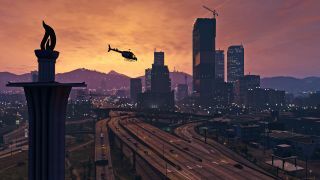 BBC has confirmed it is producing a TV movie based on the rise of Rockstar Games and Grand Theft Auto. 'Gamechanger' will tell the story of "arguably the greatest British coding success story since Bletchley Park," and is expected to start shooting on April 20. New reports suggest that Harry Potter himself, better known as actual person Daniel Radcliffe, is in negotiations to star as Rockstar co-founder and president Sam Houser. Interestingly, GTA hater and serial pest Jack Thompson is in the script, suggesting the film will focus on the media outrage that followed GTA 3's release. Reports of Radcliffe's potential involvement come via Hollywood Reporter. Jack Thompson's role hasn't been cast yet, but occasional Black Mirror director Owen Harris will direct the film. The 90 minute tele-movie arrives as part of a BBC initiative to "inspire a new generation with digital technology". Maybe that new generation can port Red Dead Redemption to PC? Who knows.